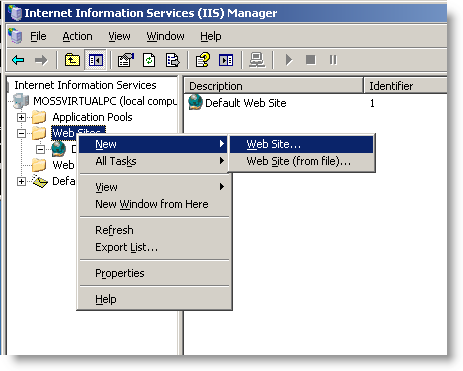 Often users have an existing IIS server installed in their network and want to use it as the front end to SynaMan's built-in web server. This article provides steps by steps instructions on how to accomplish this task. 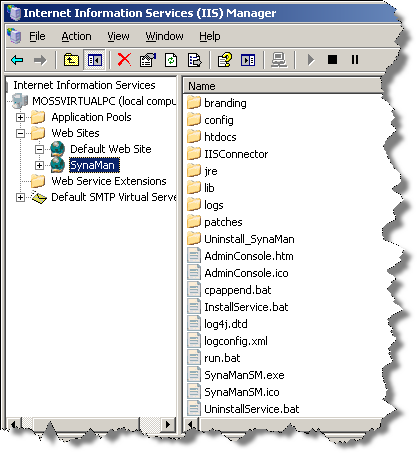 When SynaMan is used in this manner, clients connect to your IIS server, which routes the request to SynaMan using an ISAPI extension. Clients get an impression that they are connecting to your normal web server. The following assumptions are made in document. SynaMan is installed in C:\SynaMan folder. First, download necessary files here. IMPORTANT: The extension of this file is .JAR. Often Internet Explorer changes the file extension to .zip. If this happens, make sure to change it back to .jar. The file name in the lib folder should be ajp.jar. Next, using any text editor modify C:\SynaMan\config\AppConfig.xml file. Add the following line in this file towards the top. Perform the following test before proceeding to the next step. You should see a blank screen if everything is fine. Close the DOS window to disconnect. If you get a message that says "Could not open connection to the host", this means the test failed. Ensure you have correctly completed all the steps above. This test MUST pass before you proceed. 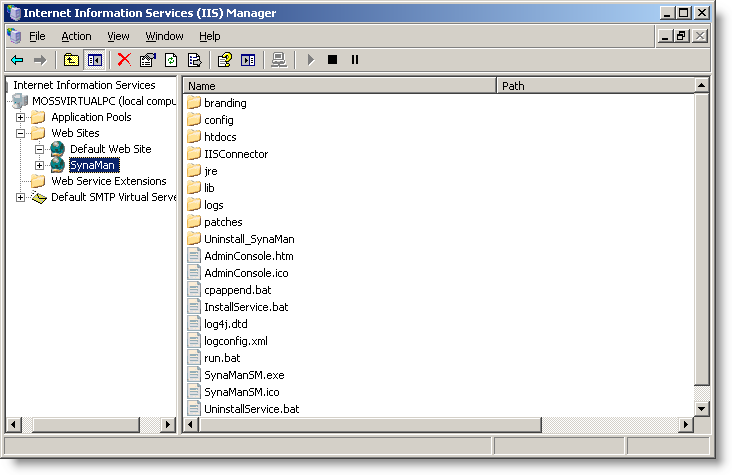 Start the IIS Manager. 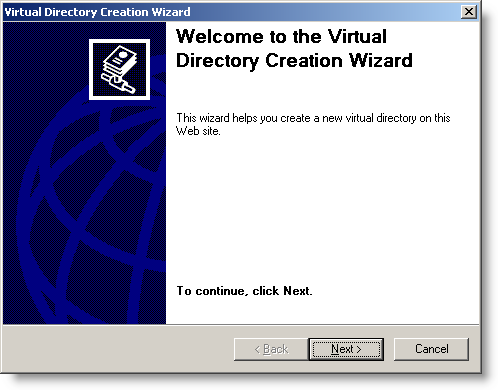 The following screen shots are taken on Windows 2003 running IIS 6.0. Your screens may look different if you are running a different version. 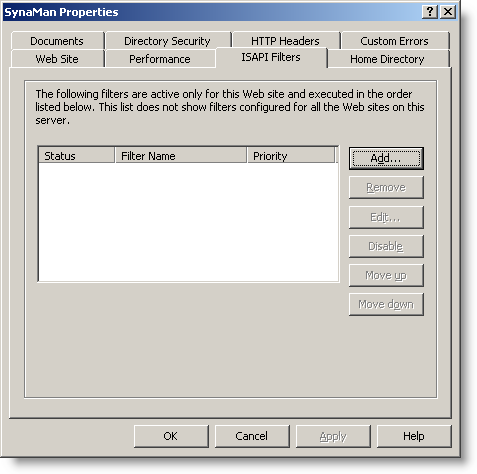 Type SynaMan in the description field and click Next. On the following screen type a host header. 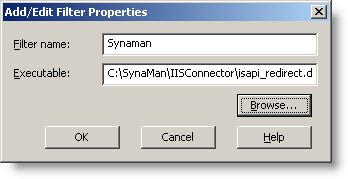 This is used by IIS to properly route messages to SynaMan, rather than processing itself. In this example, I used: synaman.MyCompany.com Replace "MyCompany.com" with your actual domain name. 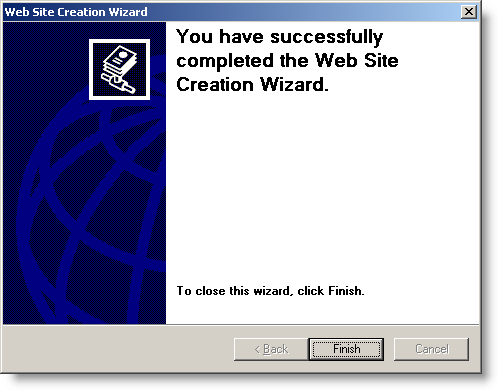 Click Next to bring up the following screen. 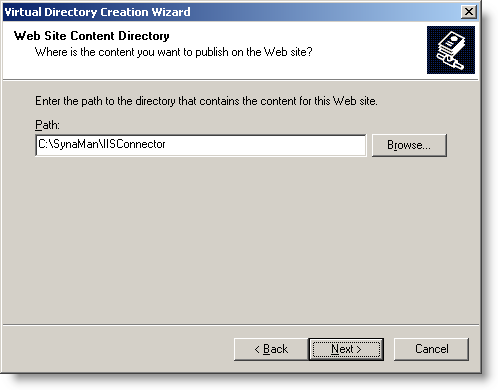 For the Path field, select the installation directory for SynaMan. In this case, it is C:\SynaMan. 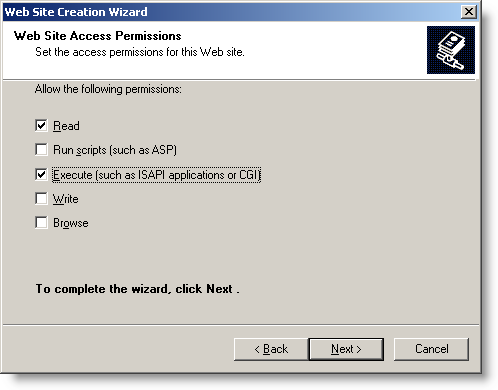 Ensure Allow anonymous access to this Web site is selected. 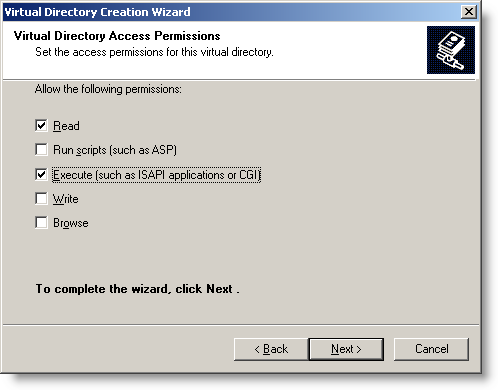 Check Execute (such as ISAPI applications or CGI) and click next. 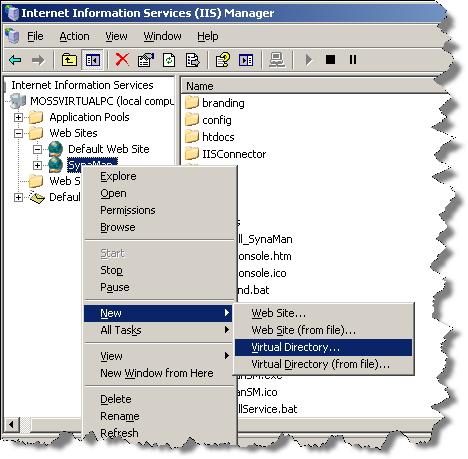 When done, you should see your newly created web site in IIS manager. 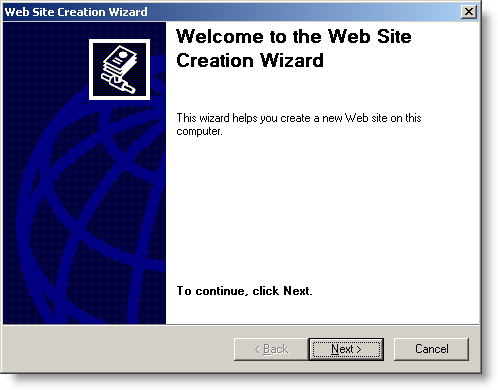 Next, right click on the newly created web site and select Properties from the pop-up menu. Click on the ISAPI Filters tab. Click the "Add" button on the screen to add a new filter. Click Ok again to close the Properties Windows. 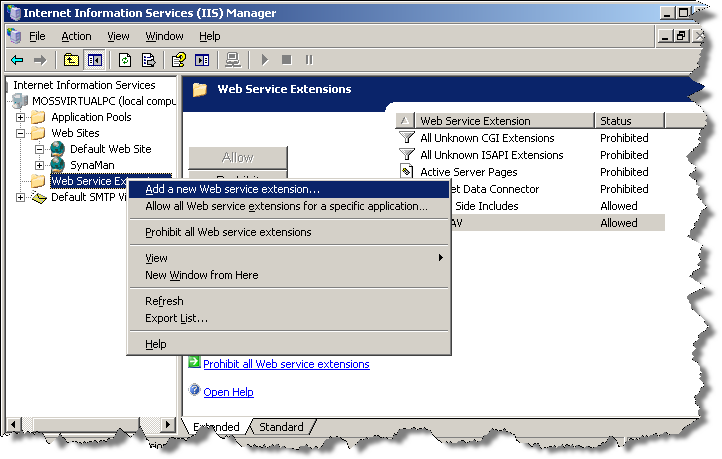 Next, right mouse click on the "Web Service Extension" and select "Add a new Web server extension...". 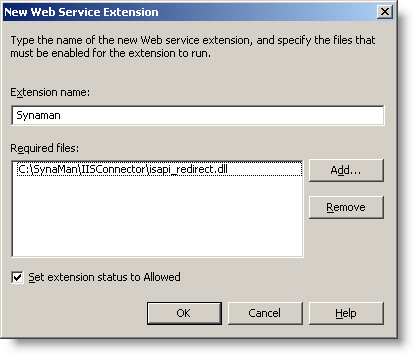 Put Synaman as the "Extension name". 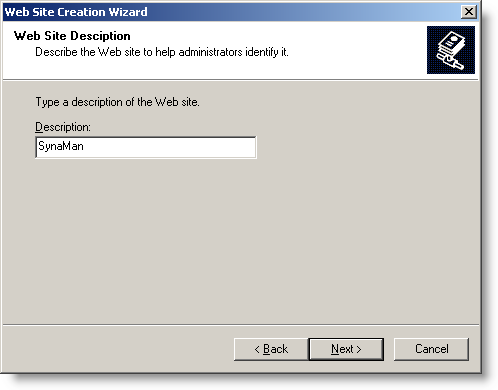 Click the Add button and select isapi_redirect.dll as the file name. You should be back to the main screen. 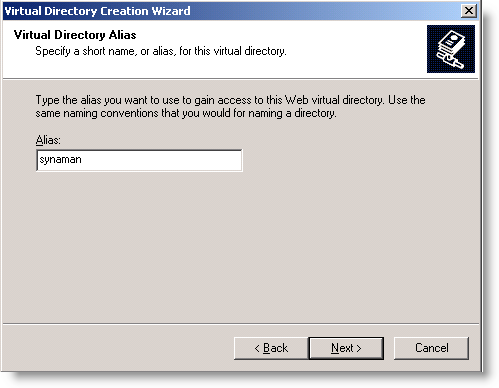 Next, create a new Virtual Directory with the SynaMan web site. 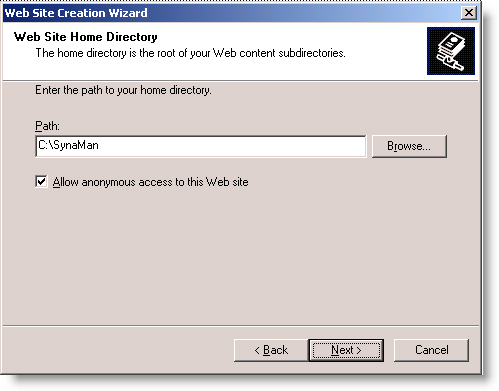 http://synaman.myCompany.com in your browser to bring up SynaMan.